The Moon is the only known natural satellite of our planet. With its distance of less than 400.000 km from the Earth, it is also the first step when climbing the cosmic ladder and leaving for a space journey. It is a obvious presence in the night sky, but still an amazing view everytime you look at it. 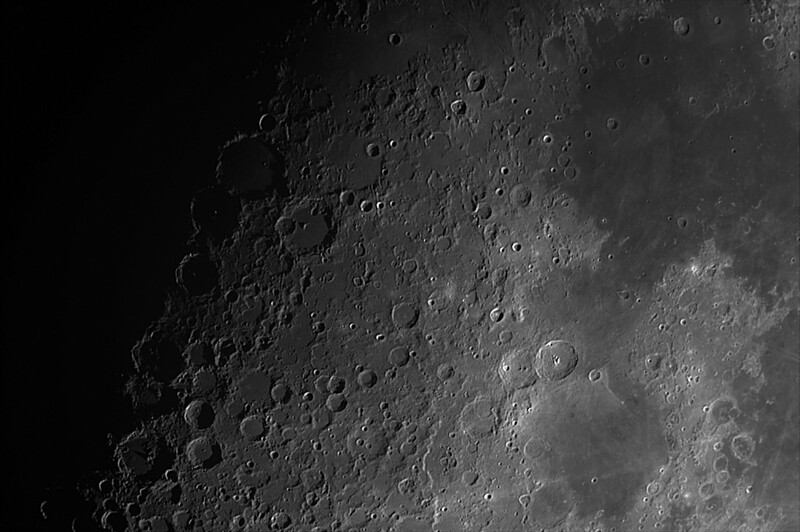 Crater Ptolemaeus is showing in the lunar dawn. This image was captured with the Celestron C14″, part of the Virtual Telescope Project. It comes from a 50 shots, averaged and gently processed, taken through a H-Alpha filter to “kill” the otherwise too high luminosity. The OTA in installed on a Paramount ME mount, by Software Bisque. The CCD camera is a SBIG ST8-XME. The image scale is of 0.62″/pixel. How super is the “super” Moon?